The Gay Gamer: Truly outrageous: Sony to call its PS3 motion controller 'Gem'? Truly outrageous: Sony to call its PS3 motion controller 'Gem'? That's what Electronic Arts CEO John Riccitiello is implying, at least. “In the coming year, both Sony and Microsoft have announced new controllers. Motion sensor controls. Natal and Gem--these are likely to bring new consumers into the marketplace." If so, my official response is, "Whoa." 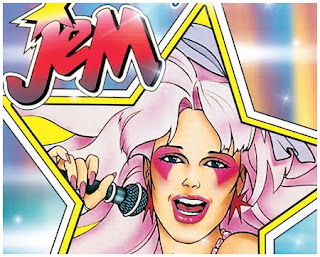 I can't believe you just referenced Jem and the Rockers. You continue to amaze me.